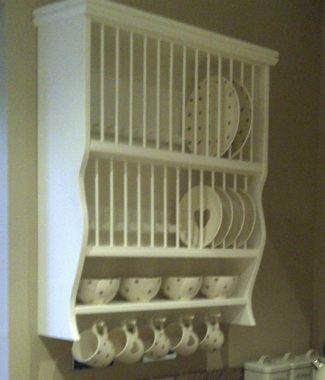 PASTA BOWL RACK - For your Pasta Bowls -The Plate Rack Co. 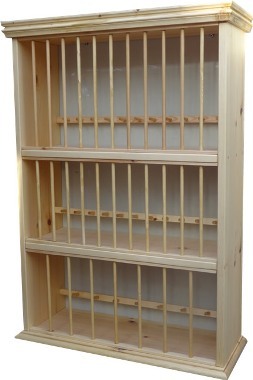 The Stroud Collection has a modern look and has a lot of storage space. 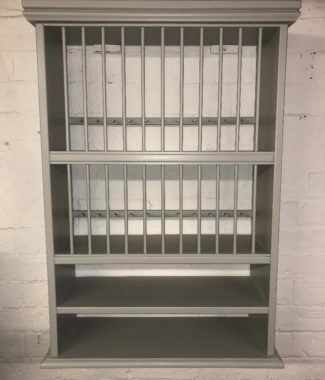 A sculpted top and simple rounded bottom shelf give this rack a timeless appeal. 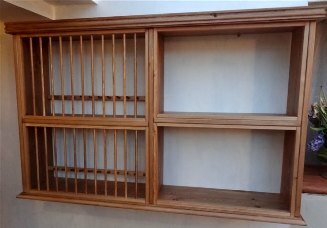 Constructed of 20mm Pine or Oak and finished with a 45mm solid Pine or Oak top. 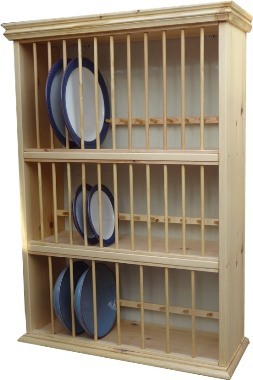 A three tier rack to accommodate your bowls, ideal for pasta lovers. This Stroud Rack has the pasta bowl section instead of the two shelves. 8 pasta bowls measuring 5cms x 23cms will fit comfortably. 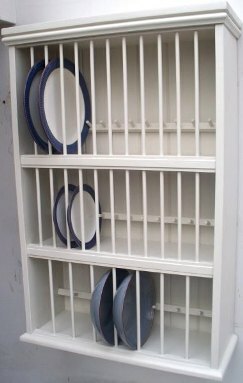 The Rack also holds 12 Dinner plates up to 29cms, 12 side/starter plates up to 24cms and has 12 cup hooks under the bottom shelf.